Eight appalling truths about the controversial practice that's now back in the headlines. Mike Pence, the Vice President-elect, has made his opposition to gay rights quite clear. The Indiana governor does maintain, however, that he never supported the use of gay conversion therapy (the act of trying to change someone’s sexual orientation). Since his vice presidential campaign began, though, many human rights organizations have persistently accused him of believing in, and even actively supporting, this ineffective, and arguably inhumane, practice. Whether or not this allegation is true, headlines regarding the claim — and the Republican National Committee’s insistence that parents should have the right to choose “the proper medical treatment and therapy for their minor children” — have brought the topic back into the national conversation. Here’s what you need to know about the history of efforts to talk, pray, drug, shock, and even surgically cut the gay away. 1. Its earliest documented practitioner was Sigmund Freud. Freud apparently had no qualms with gay men, but lesbianism did not sit right with the father of psychoanalysis. Unfortunately for him, his daughter Anna never married and seemed to have a strong attachment to women. Alarmed, Freud began analyzing her six nights a week beginning when she was 23 years old. The father and daughter discussed Anna’s fantasies, eventually logging more than 1,000 hours of therapy. Undeterred, Anna eventually settled down with Dorothy Burlingham, with whom she lived happily for 54 years. 2. Homosexuality was classified as a disorder until 1992. 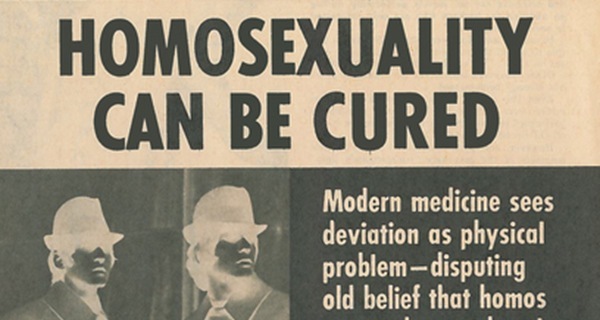 The American Psychiatric Association classified homosexuality as a mental disorder until 1973. That’s not to say that all members came to their senses and demanded its removal, however. That year, 5,854 members voted to remove it from its list of disorders, while 3,810 members voted to leave it. As a compromise, the APA classified it as a “sexual orientation disturbance,” removing it completely in 1987. The World Health Organization classified homosexuality as a disorder until 1992. 3. Horrible gay conversion therapy methods have been used. Shock therapy was one of the most common methods used to “treat gayness.” Patients were either shocked in an asylum, or their families could purchase at-home shocking devices. One example involved a projector that was hooked up to a shocking device. Every time an image of homosexual activity appeared onscreen, the viewer would be shocked until he or she switched to a slide showing heterosexual scenes. A similar tactic involved showing subjects pictures of gay men and then giving them drugs to make them vomit. In the 1940s and ’50s, Dr. Walter Freeman popularized the ice pick lobotomy as a way to cure all forms of “mental disease,” including homosexuality. The crude form of brain surgery involved sticking metal picks into the corner of each eye socket, hammering them into the brain with a mallet, and then sliding them back and forth to cut the connections between the prefrontal cortex and the brain’s frontal lobes. Out of the thousands of procedures Freeman performed — at $25 each — 40 percent of the patients were homosexuals. The most famous patient, though, was President John F. Kennedy’s sister, Rosemary Kennedy, who was subjected to the treatment because of her low IQ and was left with severe disabilities and institutionalized for the rest of her life. 5. In Britain, 65,000 men were arrested for being gay and were forced to take hormones to “cure” them. Hormone therapy was also used in an attempt to “cure” homosexuality — most famously on World War II war hero Alan Turing. After designing a computer that contributed significantly to the Allies’ victory over Nazi Germany, Turing was placed on court-mandated hormone therapy. The pills, which Turing was required to take in order to avoid prison, left him sick, shaken, and growing breasts. He eventually committed suicide by eating an apple laced with cyanide. Turing received a royal pardon in 2013, and in 2016 the Alan Turing Law made it so the other 65,000 gay and bisexual men convicted under the same law also receive posthumous pardons or, in the 15,000 cases where the men are still living, are eligible to apply for one. 6. Some former supporters of gay conversion therapy have since apologized. The largest and most well-known organization promoting gay conversion therapy was Exodus International. 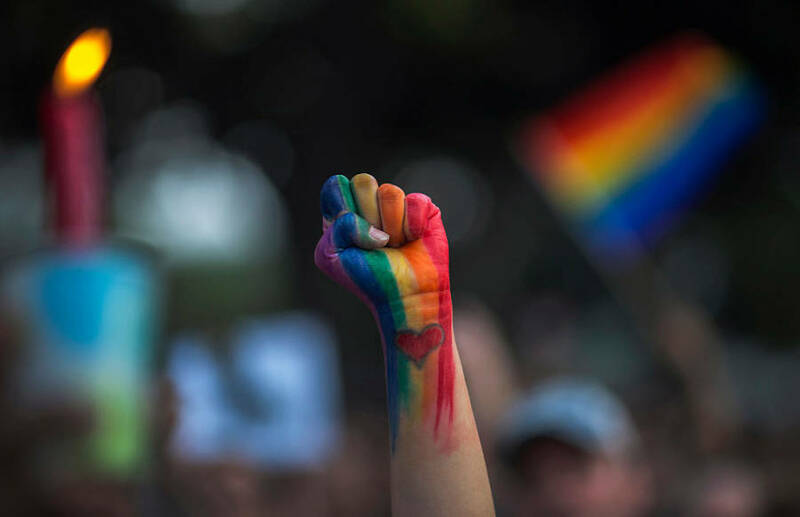 The Christian group, which was founded in 1976, operated 400 ministries where it provided counseling to people who didn’t want to be gay anymore. In 2013, Exodus closed its doors permanently and issued an apology to the gay community. 7. Only six states have explicitly barred mental health professionals from attempting to change a minor’s sexuality. They are: Oregon, Illinois, New York, Vermont, California, and New Jersey. 8. There has never been any evidence anywhere that homosexuality is a trait that can be changed. Intrigued by this look at gay conversion therapy? For more stories like this one, check out these powerful images from the early days of the gay rights movement, or read up on gay rights around the world.